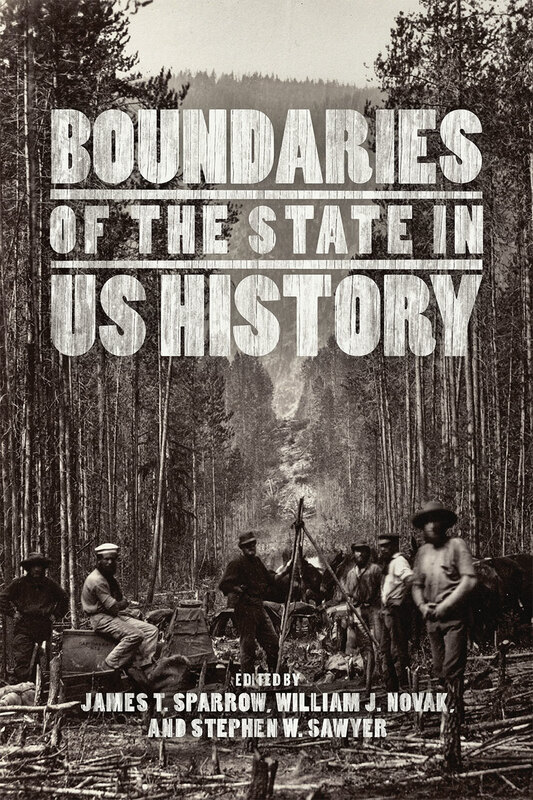 Legal History Blog: Sparrow, Novak, and Sawyer, eds., "Boundaries of the State in US History"
Sparrow, Novak, and Sawyer, eds., "Boundaries of the State in US History"
The question of how the American state defines its power has become central to a range of historical topics, from the founding of the Republic and the role of the educational system to the functions of agencies and America’s place in the world. Yet conventional histories of the state have not reckoned adequately with the roots of an ever-expanding governmental power, assuming instead that the American state was historically and exceptionally weak relative to its European peers. Here, James T. Sparrow, William J. Novak, and Stephen W. Sawyer assemble definitional essays that search for explanations to account for the extraordinary growth of US power without resorting to exceptionalist narratives. Turning away from abstract, metaphysical questions about what the state is, or schematic models of how it must work, these essays focus instead on the more pragmatic, historical question of what it does. By historicizing the construction of the boundaries dividing America and the world, civil society and the state, they are able to explain the dynamism and flexibility of a government whose powers appear so natural as to be given, invisible, inevitable, and exceptional.